A true phenomenon in British rock, Don Broco have risen to the tricera-tops of their game, set to bring their raw rock sound to Lowther Deer Park. Reverend & The Makers also join us in the fields this year, transporting revellers back to the glory days of mid-noughties indie disco alongside Leeds’ outfit The Pigeon Detectives, who will be gracing our Main Stage with raptor-ous renditions of classic hits. And of course, no Kendal Calling would be complete without The Lancashire Hotpots to blast away the hangovers! Plus Tim Burgess, Twisted Wheel, Low Island and many more announced for all stages across the weekend. And that’s not all! Get ready for a belly full of laughs on Soapbox as the inimitable Josh Widdicombe will headline alongside American comedian and honeyed-toned philosophiserReginald D Hunter and award-winning Liverpool comedian Paul Smith. Fellow funny-men and Northern souls Justin Moorhouse – a self described undercover vegan and dog walker who cut his teeth in Phoenix Nights – plus Lancashire’s own Dan Nightingale and born and bred Sunderlandian Mat Reed also join the bill, plus many more! Elsewhere Kendal Callers can look forward to seeing Mercury prize and Brit Award winners Elbow and their incendiary alt rock, alongside a hugely anticipated set from hip hop legend Snoop Dogg. Ricky Whittle takes a break from filming The Voice when Kaiser Chiefs take top billing, with high flying indie darlings The Vaccines rounding off the headliners. Elsewhere the festival has also added Kodaline, Levellers, The Horrors, Ella Eyre, Embrace, Nick Mulvey, Billy Bragg, Soul II Soul, Fusee ODG, Public Service Broadcasting Mr Scruff, Kate Tempest and a whole load more. 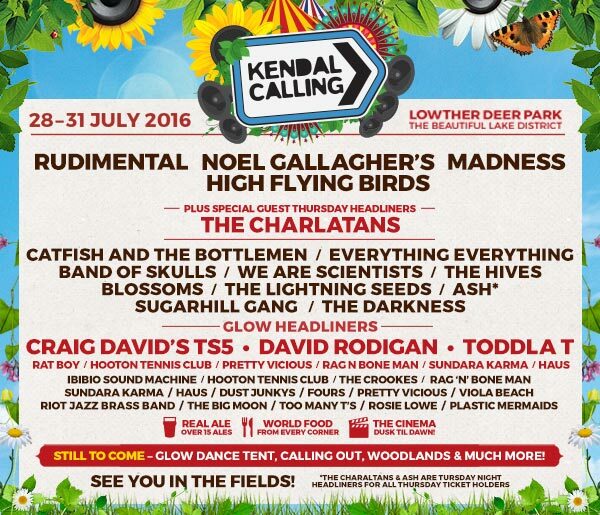 Head to the festival guide to check out the full Kendal Calling line up. 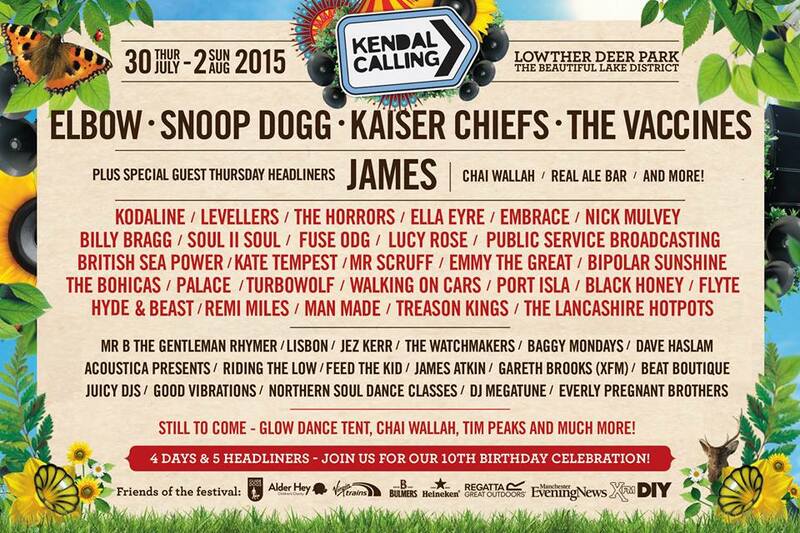 Grab your Kendal Calling tickets here.